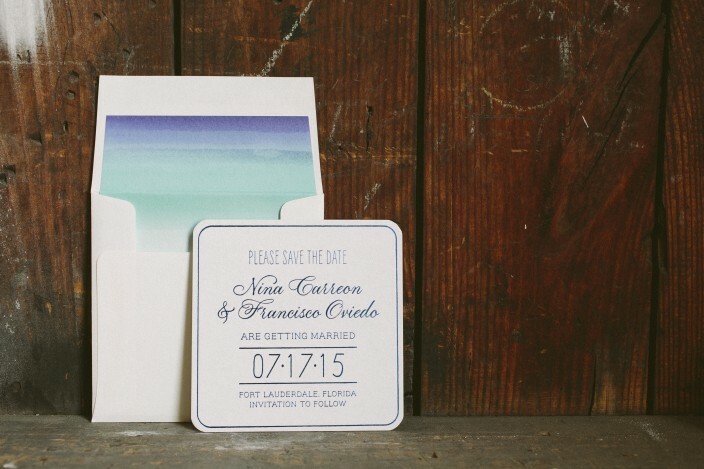 Nina and Francisco worked with Sarah at the Windmill Paper Boutique to create their coaster save the dates. 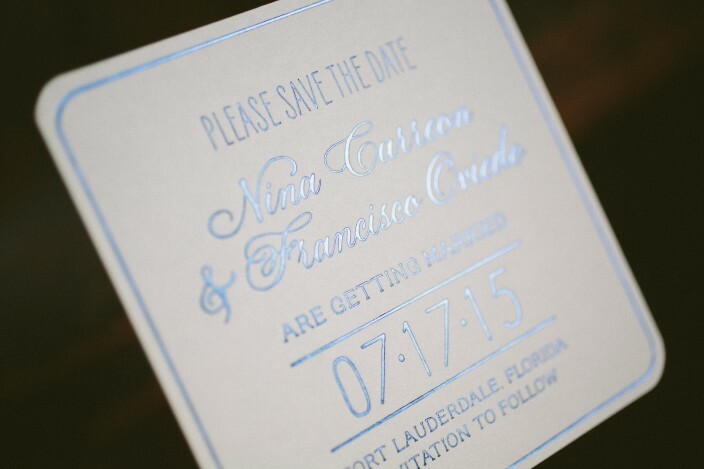 They created a custom, text-based design and used our Plaza calligraphy font by Sarah Hanna to add a touch of romance. 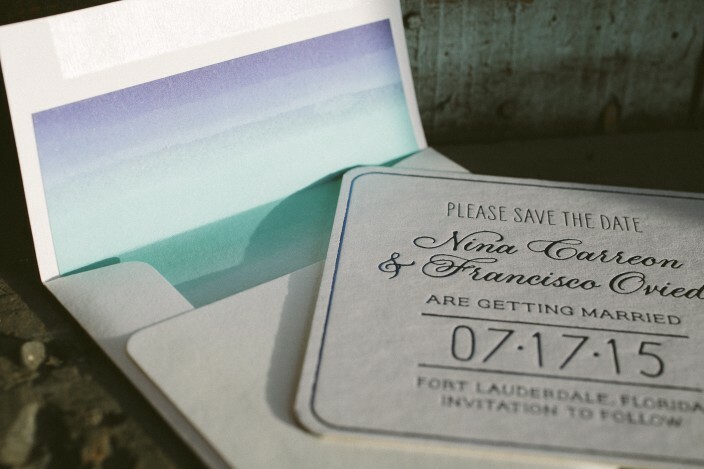 Their save the dates were printed in blue shine foil, and ombre envelope liners in ocean-like hues complemented the wedding locale perfectly. 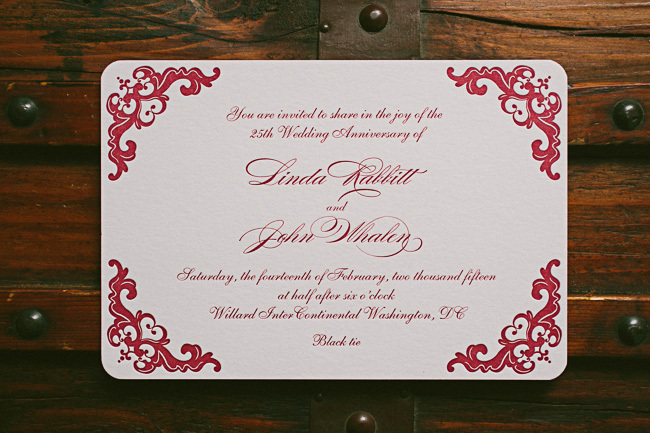 For John and Linda’s 25th wedding anniversary celebration, we customized our Galena invitation design in rich cardinal ink — a color we find quite fitting for a soirée on Valentine’s Day! 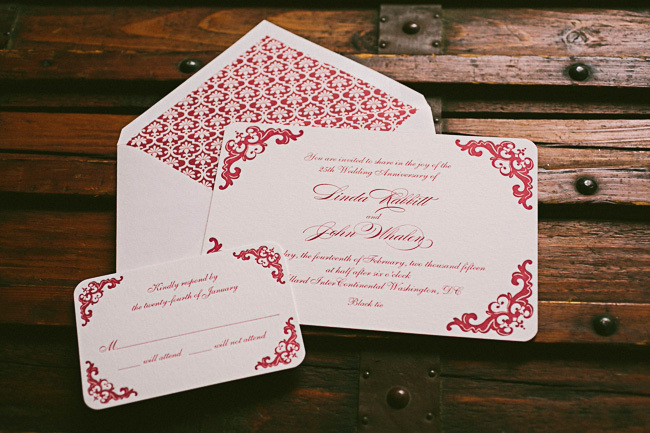 The color was used throughout the set: cardinal edge paint adorned the invitations, while grayling patterned envelope liners in cardinal ink made for a colorful addition on the envelopes. 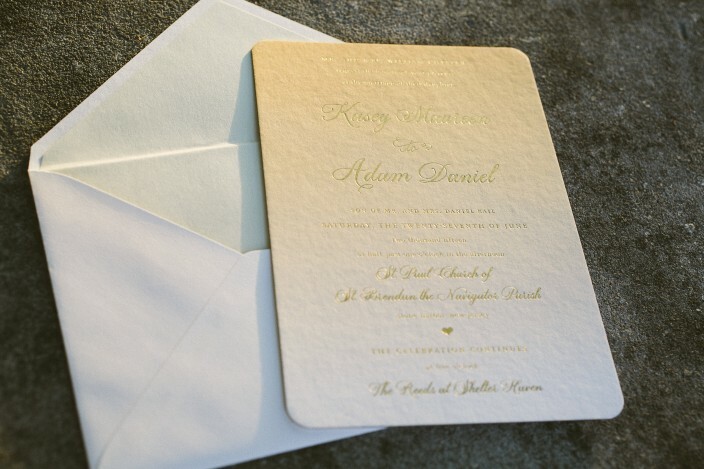 We customized our Tallmossen design in a pretty color palette of silver and butter inks for Allison and John’s May wedding in Georgia last year. 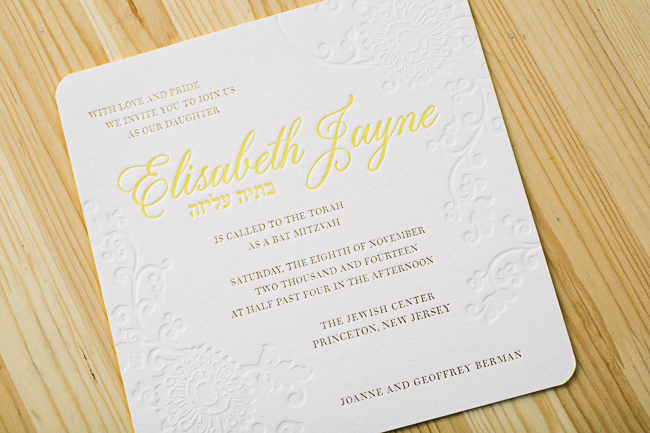 Their letterpress wedding invitations featured our Harrison calligraphy font and a playful patterned backing, while the envelope liners and edge painting added a bright pop of yellow to the set. 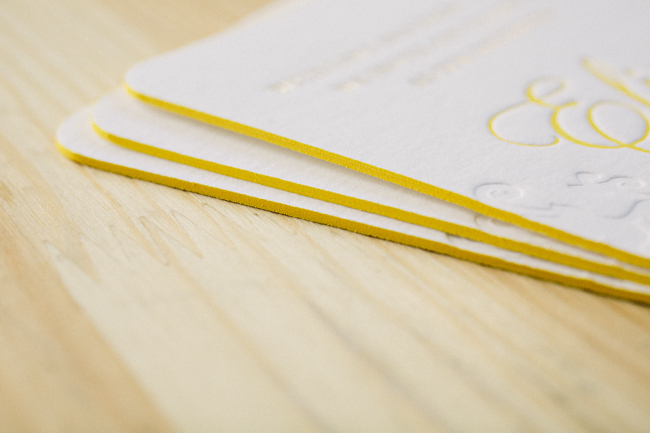 This masculine and minimalist letterpress stationery is so classic we just needed to share. 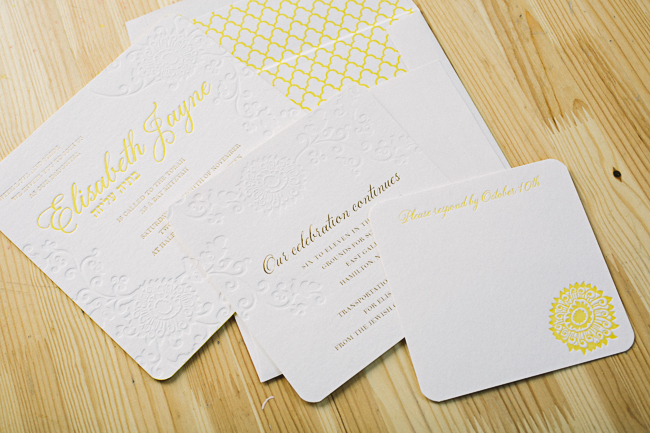 Sweet Paper sent us this order our way and we couldn’t be happier with the result. 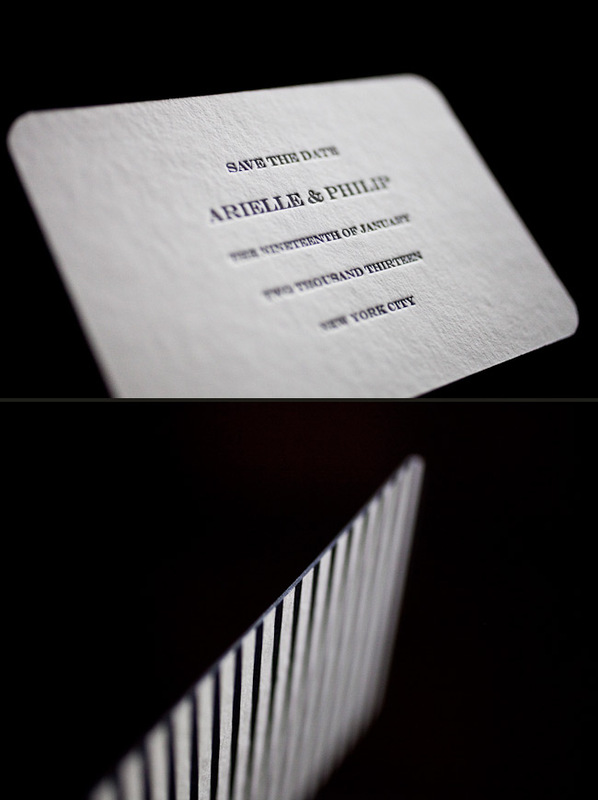 Village Invites sent us this classic Haddington customization. 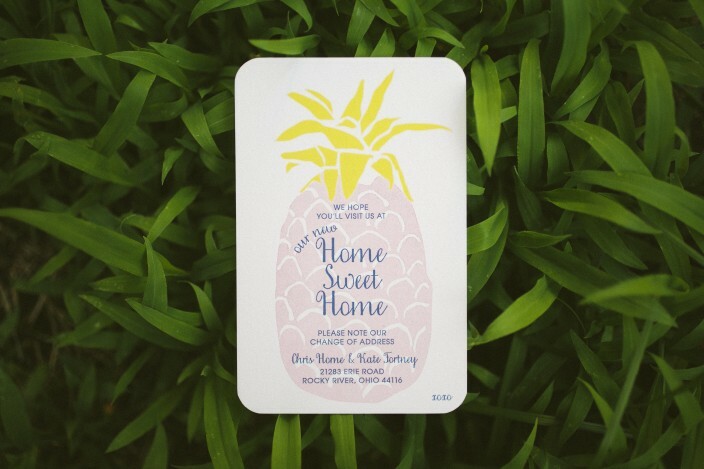 Black ink and an offset back pattern put these smaller sized save the dates over the top. 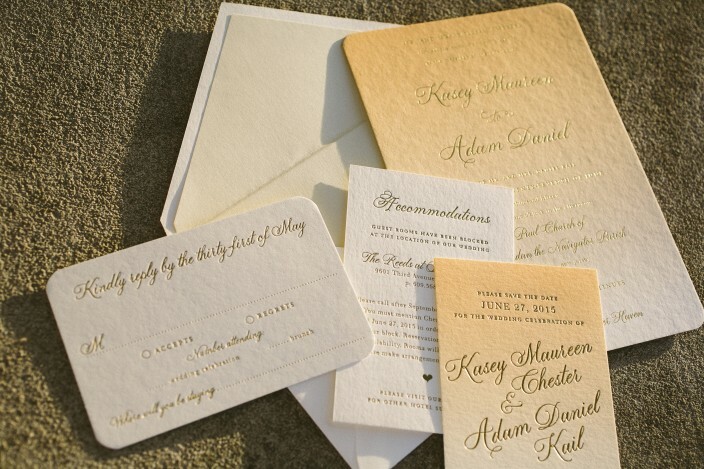 These day of pieces were sent to us by our friends at Rugg Road Paper. 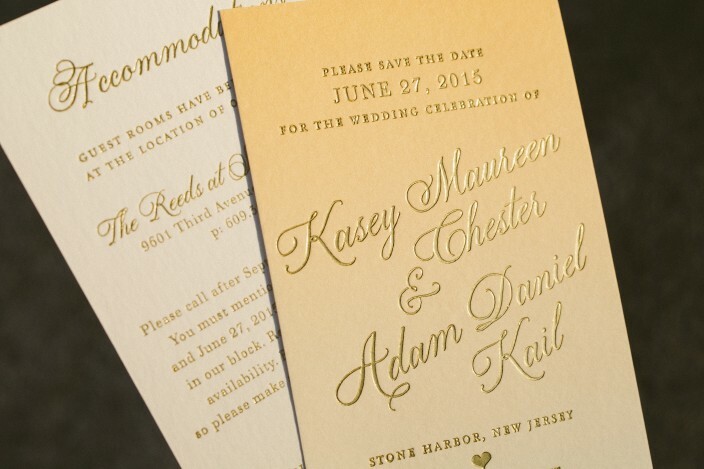 These beautiful customized pieces are the perfect accent for a day that won’t soon be forgotten. 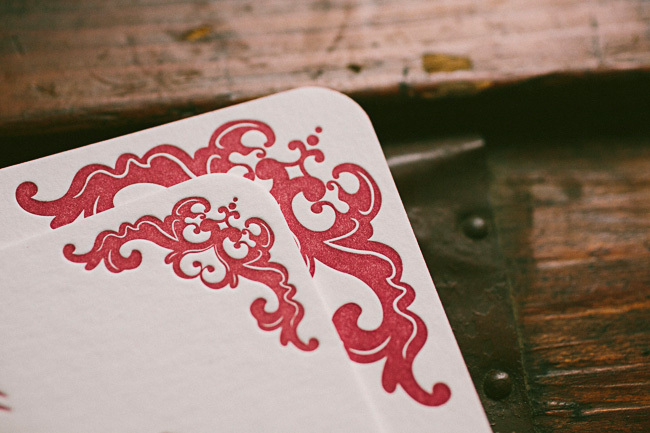 The corner rounding is the perfect, subtle touch to put these day of pieces over the edge.